Curaçao kicked off the new 2013-2014 school year on Thursday, August 8 2013. A few barbers even gave out free haircuts to celebrate a fresh new start filled with growth and opportunity. 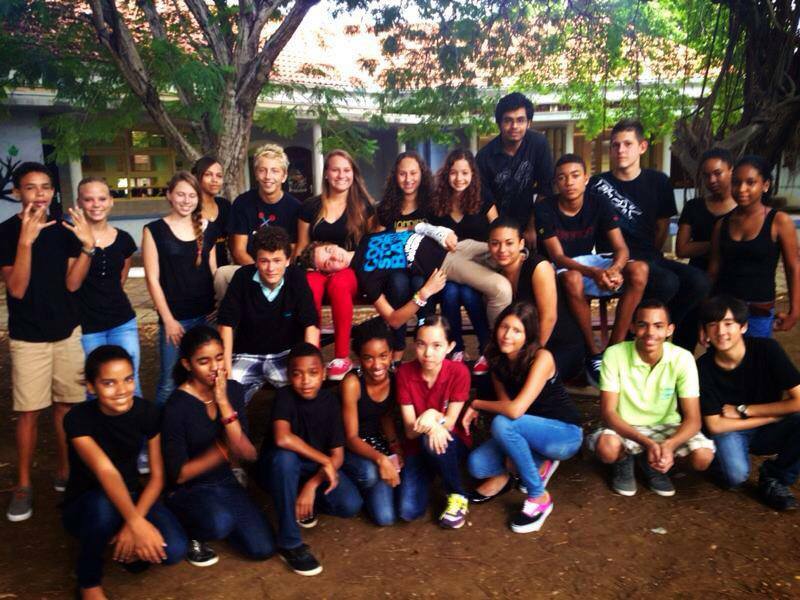 Three weeks later, Curaçao’s public high school students dressed in black to protest the fact that they have yet to receive their books. Copyright laws prohibit copies, so hands are tied. “Not only is [this situation] wasting our precious time, it’s also chipping at our motivation to attend class… most of us just sit there, taking notes, while our teachers try to make the best of it [using projectors and power point presentations]… We can’t do our homework. And while you might think we’d welcome the break, we’re actually freaking out because our midterms are 4 weeks away,” said Radulphus College’s Student Council President. Though the students haven’t been learning much in terms of academics, they’re putting petty school rivalries aside and taking a collective stand against the less-than-ideal execution of the new ‘‘Enseñansa Liber’’ (Free Education) program. Maria Immaculata Lyceum’s students conceived of the idea to dress in black in lieu of their traditional school uniforms in silent protest. News reached Radulphus College on Thursday. Within a few hours, RC’s Student Council proceeded to reach out to other student councils (KAP / PSC, IFE, St. Josef College, Maria College) and unleash the power of social media. Their Facebook post went viral in no time, reaching as many as 5,000 people. 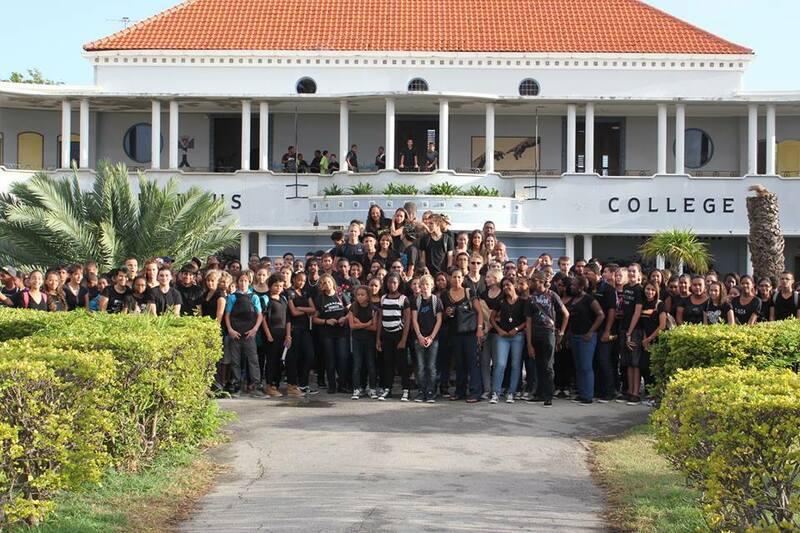 A day later, on Friday, August 23 2013, most of Curaçao’s public high school students and their teachers painted the (otherwise, colorful) island black in solidarity and protest. Au contraire, SSC, with or without books, Curaçao’s high school students will make an impact, as long as they keep standing up for themselves. Here’s hoping that their books arrive next week so they can move on to the next chapter. Just goes to show, so much learning happens outside of the classroom. PHOTOS BY RC STUDENT COUNCIL. SSC: ‘Ku of sin buki, bosnan ta druip tòg!’? they let all students in Curacao get in MAYOR debt! 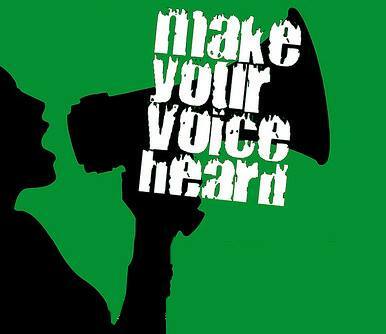 for education!! individually we all have to take and make sacrifices to get educated, and we do this getting in debt! and its not like we are doing this in the university, its just high school! and we still have to get in more debt after high school to get into college. like 7 years or more of debt. and still the pesimist and unadecauted and filth comment that we will fail anyway? playing with the youth future for money? a big corporation taking advantage of a poor corrupted government to break the economy of our youths future! poor getting more poor even with education. why? as no company will accept you and pay you a non deserve salary for the years of sacrifice unless you have a abroad degree and 5 to 10 years experience. after getting the degree we will work only to pay the debt, survive and pensioen which youll get old soon.